Orang Asli (lit. 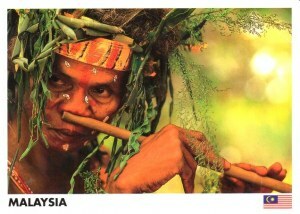 "original people", "natural people" or "aboriginal people" in Malay) are the indigenous people of Peninsular Malaysia. Officially, there are 18 Orang Asli tribes, categorised under three main groups according to their different languages and customs: Semang (or Negrito), generally confined to the northern portion of the peninsula. Senoi, residing in the central region. Proto-Malay (or Aboriginal Malay), in the southern region. The Semang and Senoi groups, being Austroasiatic-speaking, are the autochthonous peoples of the Malay Peninsula. The Proto-Malays, who speak Austronesian languages, migrated to the area between 2500 and 1500 BC.